would I take with me? I try to read the Guardian and The Irish Times most days, the Economist each week, the Tablet most weeks, and Private Eye and New Statesman regularly. I also read the Church of Ireland Gazette, the Church Times and many newspapers online. 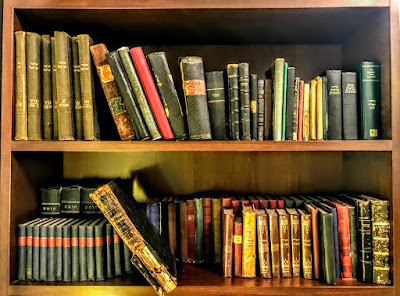 But I still want to read books as books, and to have them in my hands, to see, touch and smell them, to turn back and forward whimsically, and to move them around with me in the house, on the bus, on the train. I realise now that at some stage I am going to have to lose many of my books. As I found myself discussing this, I wondered what books I would take me, wherever I may go. It started as a challenge to name ten books. But I found myself quickly expanding the list 20 books. Doubtless, within a few days, the list will start to grow … and grow … and grow. Over the years, I have accumulated a large collection of different versions of the Bible, having bought my first Bible almost 50 years ago. I still treasure versions of the RSV Common Bible and the New English Bible, bought in Lichfield and Wexford in the early 1970s. 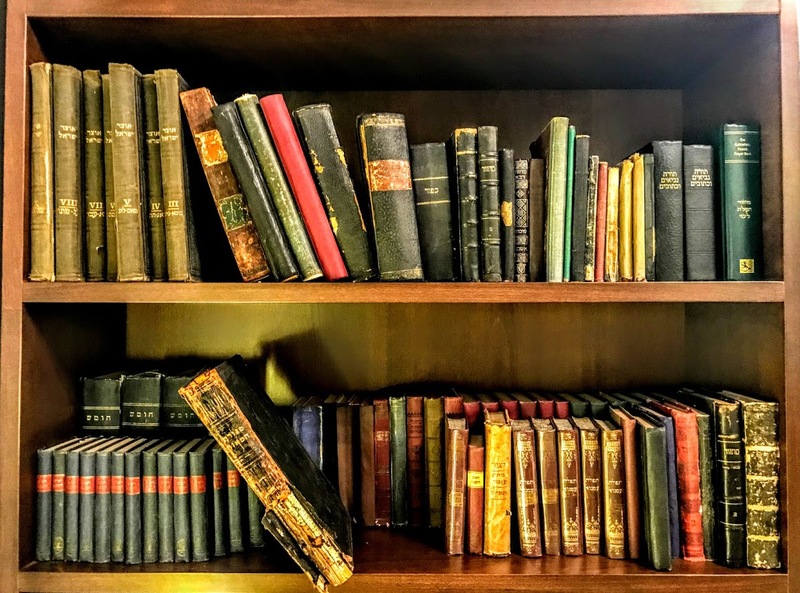 But when it comes to scholarship, I am wary of the claims to scholarship in modern translations that have their own politico-theological agenda, such as the New International Version (NIV), or the English Standard Version (ESV). In a letter in The Tablet last week [15 December 2018], Dr Sara Parvis, Senior Lecturer in Patristics in the University of Edinburgh, points out that the ESV study edition advocates a form of Arian theology – she might have added that the editor, Wayne Gruden, advocates ‘complementarianism,’ which is thinly-disguised theological misogyny. If I take the NRSV, it must have an interlinear Greek text, but sadly most versions with this feature do not include the Old Testament. 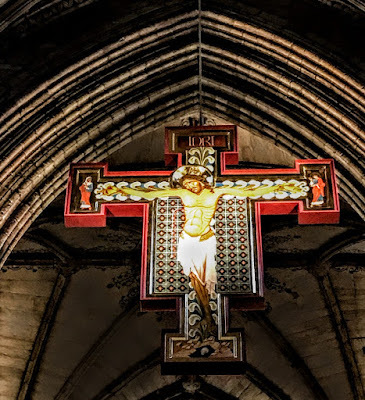 And any version with the Old Testament must include the books unilaterally dropped by most of the Reformers without any discussion of 1,500 years of understanding in the Church of what constituted the Bible, and side-lined as ‘Apocrypha’ by the Anglican Reformers. TS Eliot is the most important Anglican poet of the 20th century, but was also a subtle and deep theologian. 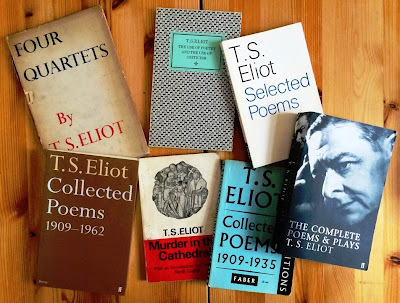 My collection of works by and about TS Eliot stretch beyond one or two shelves in my bookcases, and I regularly fall back on his poetry when I am working on sermons, particularly at this time of the year. ‘A Song for Simeon may be one for him to sing or one sung for him (Patrick Comerford, personal communication).’ It was an exchange I had forgotten about, which added to the surprise and delight of coming across this observation and acknowledgement in the commentary. 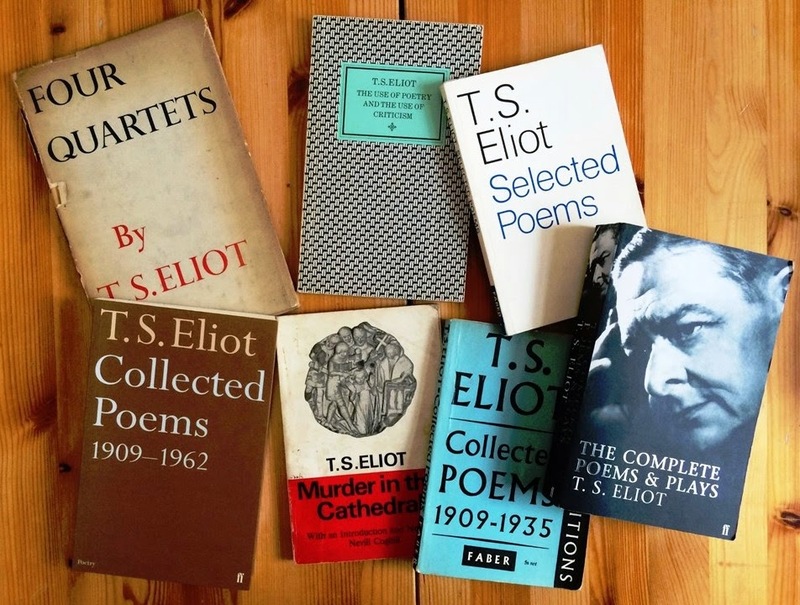 If I cannot take two volumes with me and can only take one volume of TS Eliot, the version I shall take is the 2004 paperback edition of The Complete Poems and Plays, first published by Faber and Faber in 1969, now well-thumbed and dog-eared. If TS Eliot must be regarded as a theologian, then Nikos Kazantzakis must be seen as a critical and honest pilgrim on the spiritual quest. I have visited his grave many times, and his descriptions of Iraklion and Crete are evocative and emotional for anyone who loves Crete. Nikolaus Pevsner (1902-1983) created the monumental 46-volume series of county-by-county guides, The Buildings of England. Many books have tried to emulate and imitate his style, but fail to replicate or match his style, for this is where architecture meets literature. A few years, in a second-hand shop in Lichfield, I acquired a first edition of Pevsner’s Staffordshire, published in 1974, and it has been a treasured possession ever since. Wherever I am, this will remind me of the architectural heritage and the beauty of Lichfield and the surrounding areas. I can still remember the great books I was introduced to by wonderful English teachers when I was still in my teens. I quickly graduated from Robert Louis Stevenson, West Ho! and Foxe’s Book of Martyrs to Anne Frank’s Diary. By 14 or 15 I was reading Catcher in the Rye, To Kill a Mockingbird and books by George Orwell. I probably would not take Animal Farm, Keep the Aspidistra Flying, Down and Out in Paris and London or Burmese Days with me, because I am more likely to have to make a choice between 1984 or Homage to Catalonia. I was first introduced to the ‘Grand Inquisitor’ in The Brothers Karamazov in the early 1980s by Alan Falconer, one of my lecturers in the Irish School of Ecumenics, who was then introducing me to Orthodox spirituality and theology. I met John Julius Norwich at the Wexford Festival two years ago, just a few weeks after I had acquired for the first tome a copy of John Ruskin’s The Stones of Venice in Cambridge. I had often borrowed library copies and read other people’s versions of Ruskin’s Stones of Venice, but only acquired my own copy in a second-hand bookshop in September 2016, a slim edition edited by JG Links, author of Venice for Pleasure and published in 2001 in London by Pallas Athene. I seem to recall that guests on Desert Island Discs are allowed to take the Complete Works of Shakespeare. Does this still count as one book when it includes all the plays and sonnets. At school, we benefitted not only from the plays we were studying in our year, but saw the years above and below us staging their own plays. By the time I left school I had been involved in or seen productions of Henry IV Part 1 and Hamlet in my own year, as well as The Merchant of Venice, Romeo and Juliet, Macbeth and A Midsummer Night’s Dream. For light-hearted days that still have moments of true depth and meaning, I enjoy the edition of John Betjeman’s Collected Poems, introduced by Andrew Motion. It was traditional to preach in Advent about the ‘Four Last Things’: Death, Judgment, Heaven and Hell. I have never preached on this sequence, and I am convinced that many of our images of all four have more to do with the influence of Dante than with anything we read in the Bible. Dante is the ‘travelling companion’ of the narrator of Zorba the Greek, but I also found he was the travelling companion of a colleague on a long-haul flight to China many years ago. He claimed he had learned Italian so that he could read Italian in the original. That sounds like a good new year’s resolution. The opening words of ‘Under Milk Wood’ – ‘To begin at the beginning’ – have a familiarity that makes me smile as I put the finishing touches to a Christmas morning sermon on the prologue to Saint John’s Gospel. I have read each and every one of Catherine Fox’s Lindchester novels – the latest one on holiday in Crete earlier this year. And she constantly calls up images of life in the Cathedral Close in Lichfield. When he was a war-time undergraduate at Oxford, Philip Larkin spent Christmas 1940-1941 with his father’s family in Lichfield. During this time in Lichfield, he wrote three poems: Christmas 1940, Out in the lane I pause and Ghosts. There are hints too in the poem of TS Eliot’s Journey Of The Magi. This poem was written by Larkin in 1954, and it took him about three months to finish it. It was first published eventually in the Spectator in 1955, and in an edition of his poems published in 1962. I first got to know Billy Roche when we were both involved in poetry readings and folk evenings in the old YMCA beside White’s Hotel in Wexford in the mid-1970s. Tumbling Down, first published in 1986, packs in many of my memories of Wexford, and was followed by the Wexford trilogy: A Handful of Stars (1988), Poor Beast in the Rain (1989) and Belfry (1990). He was elected to Aosdána in 2007, and still lives in Wexford. If my colleague learned Italian so he could read Dante in the original, I was once presented with a copy of Cavafy’s poems in the original to encourage me to improve my Greek. His ‘Ithaca’ and ‘The Barbarians at the Gates’ remain favourites … in the original and in translations. I have never read James Joyce’s Ulysses continuously, from beginning to end, sequentially, although I am sure I have read all of it, in chunks and in pieces and in unusual sequences that I now realise is the way that many of my generation have read it. And there is an additional smugness in being able to find the place where the Comerford family is mentioned. If I am on my own, I shall still need to pray regularly. The Church of Ireland edition of the Book of Common Prayer is not always ideal for personal, private daily prayer, so I might have to take The Book of Common Prayer, The texts of 1549, 1559 and 1662, edited by Brian Cummings (Oxford, 2011), which came as a present after preaching the Chapel of Sidney Sussex College, Cambridge, in 2012. This is not just a prayer book, but a work of literature, including the Collects which are richly textured prayers. It has contributed – along with the King James Version of the Bible and the works of Shakespeare – to shaping the modern English language. I debated which theological books I should take with me. 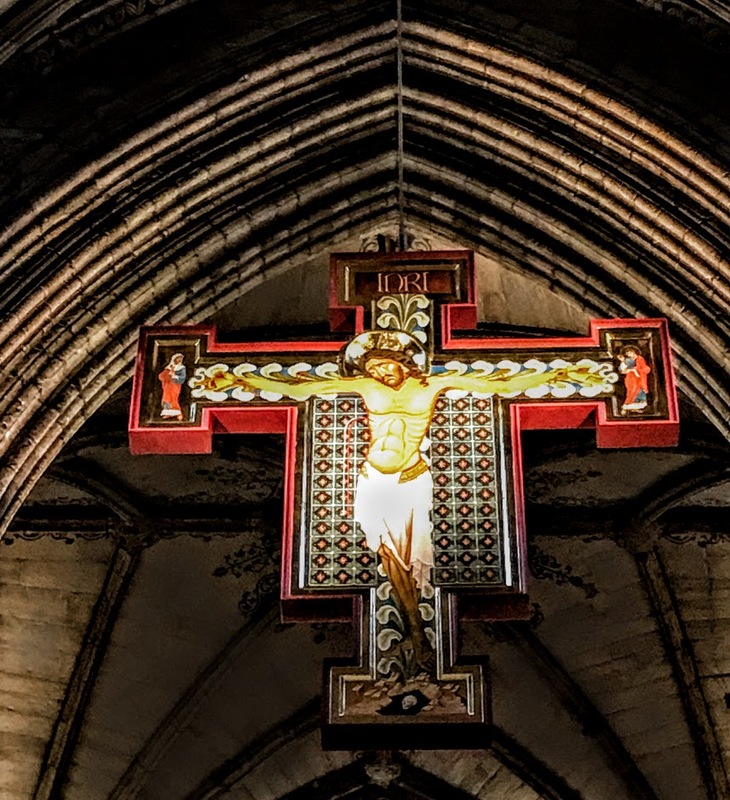 At an early stage, I was influenced by the sermons and speeches of Martin Luther King, the writings of Desmond Tutu, Dietrich Bonhoeffer’s The Cost of Discipleship and by the great works by Jürgen Moltmann. I started trying to read the classics as I young boy in my grandmother’s house near Cappoquin, trying to pick through the school texts in Greek left on the shelves by absent uncles, including the funeral oration by Pericles in 430 BC, as recorded by Thucydides (Peloponnesian War, Book 2.34-46), one of finest statements on the value of democracy. That youthful interest in the classics was not killed off by poor experiences of Latin classes in the early years of secondary schooling. When I pack my bags, I shall pick from Greek rather Latin, and would have to choose between the plays Aristophanes and the plays of Euripides. Aristophanes is said to have recreated life in ancient Athens more convincingly than any other author. His powers of ridicule were feared and acknowledged by influential contemporaries. Plato singled out his play The Clouds as slander that contributed to the trial and subsequent death of Socrates. I have argued before that the Gospel stories of the Syrophoenician woman and her daughter is best read after reading The Phoenician Women by Euripides. Medea is the great tragedy about the fear of the foreigner and about confusion that arises about the sexuality of the other when we objectify the foreigner in our midst. I first started to try reading Medea in the original Greek of Euripides over 30 years ago when, following a course in Biblical Greek, I began a Cambridge course in Classical Greek. Shortly afterwards, I was in Rethymnon in Crete when Medea was staged using the original text in theatre in the Fortezza. The play deals with passion and rage, explores greatness and pride, it forces us to consider how we deal with the Other, it confronts our prejudices about intelligence and our abilities to be manipulative, it challenges our concepts of justice in an unjust society, especially where women and foreigners are concerned. Wherever I go I have to have a good guide book, such as the Lonely Planet, Rough Guide, Dorling and Kindersley or the Blue Guide. I buy a few weeks before a trip, and are read thoroughly before arrival. Seldom have I ever thrown out a guide book. They remain piled high on shelves, still stuffed with restaurant receipts, and tickets for buses, trains and the opera. Each place visited, each dinner enjoyed, has been ticked and marked with a date. I even have travel books for places I planned to visit but never got to, included a cancelled visit to Warsaw earlier this year. If I only have 20 books with me, one of them must be a good guide book for wherever that may be. In this Advent season, in remembering the Nativity, give thanks for USPG-supported maternity health programmes run by the Church of Bangladesh. Come and save the human race. 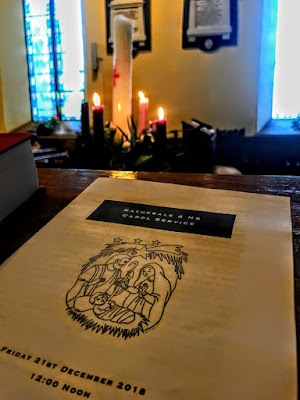 Today’s suggested reading is Luke 1: 46-56, which is familiar as the canticle Maginificat, recommended in the Revised Common Lectionary as a canticle tomorrow [23 December 2018, Advent IV] and as part of the longer version of the Gospel reading. 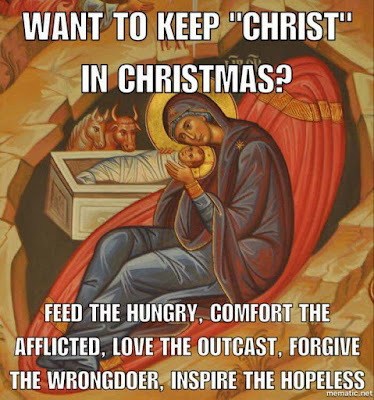 Pray for the world’s poor, the weakest and most marginalised. Remember God cherishes them. Seek to love God in them. 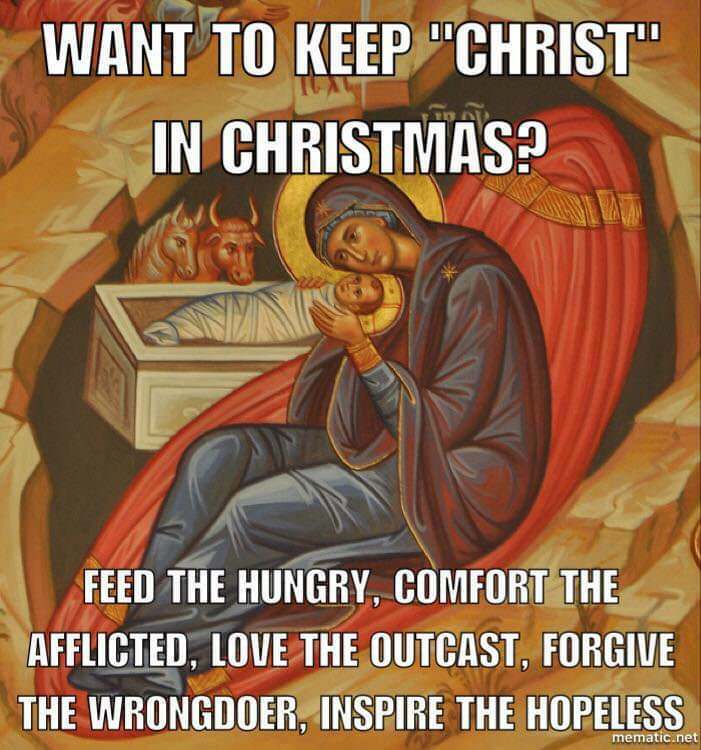 Pray to be shown him in them.